Select an App Category or view all items in one massive list. See also all Linux software reviewed and rated at our site. This list of Best Free Software for Linux now includes 159 apps in various categories. Among a plethora of freeware products, we have selected some gems in each category and added them to the list with clear and brief descriptions of each app. This category is maintained by senior editor Jojo Yee. Registered members can contact the editor with comments or suggestions by clicking here. You can visit the Google+ profile page of Jojo Yee here. BleachBit , a system tool allows you to preview and delete unnecessary files to free up your valuable disk space, maintain privacy, and remove hidden junk. It deletes cache, cookies, Internet history, logs, temporary files, broken shortcuts, and wipes clean 70 applications and more. GtkOrphan , an orphaned libraries remover to analyse the status of your installations, looks for orphaned libraries and adds package-removal capability. A GUI front-end to Deborphan for Debian systems. Recoll , an open source program and a powerful tool allows you to search instantly most common document types, emails and their attachments after indexing your home directory by default. You can configure additional areas for indexing and install supporting packages to include file types that are not indexed natively by the tool as well. Fontmatrix is the largest and most complex application and runs on a wider range of platforms with more high-end features. Some of these features are not available in any of other programs. Font Manager allows you to easily manage fonts installed in your Linux system. You can preview and compare installed fonts, activate and de-activate installed fonts, install new fonts or remove existing fonts, group fonts into collections and export them to an archive for backup and sharing. Grub Customizer , a graphical user interface to re-arrange, rename or hide boot menu entries, set a default operating system to boot on a multi-boot device, customize the appearance as well as adjust other settings of Grub (GRand Unified Bootloader). GNOME Do , type and search the items on your computer or on the web and the program helps you perform the tasks directly and quickly with suggested actions to take. A large set of official and community plugins are available for making the program more powerful with even more task varieties. Cairo-Dock , a pretty and light program allows you to launch your applications right away from the dock on your desktop, supporting useful features such as multi-docks, applets, themes and various settings to change the appearance and behavior of the program to your liking. Shutter is like a swiss army knife for all screen capture tasks in Linux. It works better than Gnome-screenshot and KDE's KSnapshot. recordMyDesktop , an easy-to-use and effective recorder to make screen recordings into free Ogg video format. It also offers the ability to record audio through ALSA mixer or other options. The frontend program gtk-recordMyDesktop and the ALSA mixer can be downloaded from some depositories including Ubuntu Software Center. I-Nex , similar to the application CPU-Z for Windows, gathers and displays information for hardware components on your system, including CPU, GPU, Motherboard, Audio, Drives, System, Linux Kernel, Memory, Network and USB devices plugged in. It also allows you to generate a report of the info and take a screenshot of the I-Nex window. Stacer , an open-source system diagnostic tool and optimizer lets you check CPU, memory and disk usage, start-up apps, clear cache, uninstall unwanted apps, stop or start system processes running in the background. It's an Electron app featuring a clean user interface. PySDM , a Storage Device Manager allowing for full customization of hard disk mountpoints and creation of rules for dynamic configuration of storage devices. See also Auto Mount Drives at System Startup. CCSM (CompizConfig Settings Manager) , a useful tool to configure the many plugins included in Compiz and Compiz Fusion for advanced desktop effects settings. Wally , a good wallpaper changer allows for wallpaper positions to set to centered, tiled, center tiled, centered maxpert, tiled maxpert, scaled, center auto fit or scale and crop. Variety is an open-source wallpaper changer packed with a variety of great features, such as automatically fetching wallpapers from your favorite folders or online sources, applying filters to the displayed wallpapers, matching wallpapers with color and size, showing random wise quotes and a configurable digital clock on the desktop. You can set Variety to change wallpaper on start or every fixed time interval. DesktopNova , change your desktop wallpapers automatically based on a list of image files you've added, or even better, based on a list of folders and subfolders containing your favorite images. With this application, you can set wallpapers to change upon each login session or at every fixed time interval to your liking. Webilder , rotate your wallpapers automatically from your collection at a time interval you set, and download new photos from Flickr or Webshots to your collection using tags or image type. Settings are available for different desktop environments such as GNOME3, GNOME, KDE and Xfce. Wine allows for running Windows applications on Linux and other operating systems, but without a copy of Windows. It's still under active development and not every program works yet. Back In Time , a convenient tool to backup your specified files and folders, with profiles to set up where to save snapshots at a time interval you choose, sources to include files and folders, recommended patterns to exclude, auto-remove and other options. luckyBackup , a useful tool to safely back up your data that you've changed in a source directory to a destination directory, or create multiple backup snapshots to a specific date and time. You can also use it to sync any directories to keep files identical on various devices. ISO Master is a handy tool for editing ISO image files. It has a two-pane view to facilitate moving files and directories between the hard disk and the ISO image, and supports for handing a boot record and creating a bootable disk image. FSlint , a convenient tool with both GUI and command lines modes to detect duplicate files and reclaim disk space. It also helps to identify unwanted or problematic file names, temporary files, bad symlinks, empty directories, nonstripped binaries and redundant whitespaces. File Roller is an archive manager designed for the GNOME desktop environment to create archives, view or extract files from archives, work as a front-end to the command-line archiver supporting various popular file formats. Ark , a free and open source program designed for the KDE desktop environment to view, extract, create and modify archives in various formats such as tar, gzip, bzip2, zip, rar and lha. UltraCopier has some pretty exciting features including an excellent file resume option, which allows for resuming of a file transfer from a disconnected USB key. If you're in the middle of a file transfer from a USB key and it somehow becomes disconnected, when you plug it in again all you have to do is to hit resume and it will pick up where you left off! GNU Privacy Assistant (GPA) , a useful tool with the graphical user interface for the GNU Privacy Guard (GnuPG or GPG) to encrypt, decrypt, sign files, verify signatures and manage the private and public keys. Dolphin , a file manager for KDE (by default) and good for other desktop environments such as GNOME as well, focusing on usability with navigation bar, view properties, split of views, dockable panels and many other useful features. FreeFileSync , a solid application with very clear and informative interface. The preview is very easy to understand, file collisions and deletions are readily recognizable. Grsync , a graphical user interface for rsync and an effective tool to synchronize folders, files and make backups with support for sessions, simulation, execution, checksum, logging as well as other basic and advanced options for you to choose. Unison , set up a profile to sync folders and files locally on the same machine or remotely across a network with this capable tool, which runs on both Windows and Unix systems, like Linux and OS X, and works across platforms. Useful features include detecting and displaying conflicting updates, optimising transfers of small updates to large files using a compression protocol similar to rsync. BillardGL , a brilliantly crafted open-sourced freeware game that affords play of either 8-Ball or 9-Ball. The 3D graphics are second-to-none and the physics appear to be flawless. LBreakout2 , an extremely polished Breakout Clone features a two-player mode (local or over the internet or LAN), fine animations and graphics, excellent controls, the ability to save a game, a level editor, and a turbo key. PyChess , with this program, you can play against the GNU Chess engine or lots of other chess engines, such as the Crafty engine. You can also play Internet chess by connecting to the FICS servers. Urban Terror , described as fun over realism by the creators, the game has fast paced, intense game-play. Urban Terror doesn't throw realism to the wind mind you, but rather tries to enhance game-play with elements like powerslides and wallhops. Pingus , play a free clone of the popular Lemmings game and guide as many penguins as possible to build bridges, climb, bash and use their talents to reach home before they fall into traps. Optional sound effects and music, plenty of level sets and even a level editor are available for challenging your skills. Frozen Bubble , designed with colorful 3D rendered penguin animations and 15 stereo sound effects, Frozen Bubble comes with editable 100 levels for 1-player game, or hours and hours of 2-player game. You can also choose to have multi-player game over the local area network or Internet. Numpty Physics , an excellent open source and multi-platform physics game with 35 built-in levels. It has more to offer than the free prototype of Crayon Physics Deluxe. PipeWalker , solve this casual puzzle in building a piping or network system by connecting all scattered pieces with your logic and skill. With support for four map sizes, themes and auto save, it has multiple levels for you to figure out. Dwarf Fortress is so horrendously in depth. It's nearing insanity, everything from the dynamic flow of water in the moats to several dozen types of ore, gems and utility stones by the book. You can spend anything from minutes to hours playing this 'uber' creative game. OpenCity , a 3D city simulator like a classic SimCity game for you to construct a city divided into residential, commercial and industrial zones. You can connect them by building roads, provide the city with necessary goods and watch it grow up with the power you supply. HoDoKu , an open source program allows you to generate sudoku puzzles in five different and configurable difficulty levels. It also includes a solver and an analyzer to help you solve the puzzles. Comix , a perfect reader for comic book archives saved in such formats as cbz, cbr, cbt, zip, rar, tar, tar.gz, tar.gz2 as well as normal image files, with support for various viewing modes, slideshow, magnifying glass, image scaling, dynamic background color, caching for faster page flipping, bookmarks, image enhancement, thumbnail maintenance, adding books to library, editing archives and more. Scribus , a professional quality page layout program capable of producing press-ready output. The feature list is impressive; basically everything you want is there including "CMYK color, separations, ICC color management and versatile PDF creation. Artha , an off-line English dictionary and thesaurus application based on the extensive and in-depth database provided by WordNet, giving you word definitions and relative words such as synonyms, antonyms, derivatives, etc. Support for word look-up with a pre-set hotkey Ctrl-Alt-W, search using wild-cards like * or ?, and spelling suggestions. KeepNote , in each notebook, you can create folders and pages, as well as sub-folders and sub-pages, and you can re-organize them easily by drag-and-drop. In each page, rich text formatting including colored fonts, bullet point lists and hyperlinks are supported. LibreOffice , a new office suite contains six feature-rich applications including Writer, Calc, Impress, Draw, Math and Base, supports for Open Document Format (ODF) and is compatible with other major office suites. If you're already familiar with OpenOffice, you will be able to start using LibreOffice quickly and easily as it's a fork of OpenOffice. Developed and supported by The Document Foundation, LibreOffice is aimed to be free and vendor-independent, with no requirement for copyright assignments. OpenOffice covers the basics of office document creation: word processing, spreadsheets, presentations, graphics, a desktop database and allows you to save your documents in many choices of file formats so you'll have no problem exchanging documents with MS Office. Master PDF Editor , a PDF editor allows you to create and edit PDF files with features such as edit text, remove or insert images, add bookmarks and PDF controls, encrypt and protect PDF files, convert XPS files into PDF and more. This application also comes with editing functions for XPS files and is free for non-commercial use in Linux system. Okular , more than a viewer for pdf and other document formats including postscript, djvu, tiff, chm, dvi, xps, odf and so on. It can be used on both KDE and GNOME desktop environments, with features for annotations, highlighting, drawing lines and shapes, adding textboxes and stamps, selecting and saving a part of documents as text or in an image format. Evince , a document viewer for pdf and other document formats including postscript, djvu, tiff and dvi, aiming to replace the multiple document viewers that exist on the GNOME Desktop with a single simple application. PDF-Shuffler , re-arranging pages in a pdf document, or merging and splitting pdf files, would be much easier with PDF Shuffler. CUPS-PDF creates a virtual PDF printer to convert a file printed in queue to PDF and save it in a user directory. GanttProject , a very good project management tool with a surprisingly good depth of features and accessories—you can put in a percentage complete bar inside the timeline of that particular stage and make it easy to see how far along everything is without a lot of hassle. You can also add team members for a project and assign them to tasks when you set them up. AbiWord , easy to adapt to, especially since the interface is similar to that found in Word and WordPerfect. Its abilities include cut and paste, highlight, as well as the usual host of common formatting tools, annotation and checking spelling in many languages. Transmission , an easy-to-use yet powerful BitTorrent client with an intuitive interface and low memory footprint. The default settings just work but you can take a few clicks to configure advanced features such as watch directories, limit download and upload speed, bad peer blocklists, the web interface and more. uGet a cross-platform program designed to be simple, lightweight and easy to use. It's an open source application written in GTK+. Debian and RPM packages are readily available for download and installation. FlareGet applies a dynamic file segmentation algorithm to speed up downloads and http-pipelining to further accelerate each segment. It's equipped with a queue manager, scheduler, batch downloader and flash video grabber. Useful features include dynamic and intelligent file management, enhanced browser integration, resume, multi-protocol and mirror supports, speed limits, etc. The free version supports up to four parallel connections per download. FatRat , an open source and feature rich download manager built on top of Qt4 library, supports HTTP(S) or FTP downloads, FTP uploads, BitTorrent (including torrent search and creating, DHT, UPnP, encryption), SOCKS5 and HTTP proxies. Other features include RSS feed with special functions for TV shows and podcasts, hash computing, RapidShare.com downloads, uploads, link verification, folder extraction and more. Evolution provides integrated mail, address book and calendar, matches most other email programs in features and functionality. TeamViewer , an excellent remote control product that allows you to connect to any PC over the internet and drive it as if you were sitting in front of it. Liferea , an abbreviation for Linux Feed Reader, comes with distinguishing features like Google Reader and Tiny Tiny RSS sync, Google Reader labels, permanently saving headlines in news bins and reading articles when you are offline. Other functionality includes optional pop-up notification of new items, news items with headline, image and summary, as well as other settings in user preferences. Skype , make Skype-to-Skype conference calls or see each other with one-to-one video calls for free. You can also send text messages, documents, video clips or photos to your friends and relatives using this application. More advanced features are available but not all services are free. Sweet Home 3D is sure to tickle every bone in your body. You can model your dream home, along with all of its cherished appointments, and then watch it come to life. You can start simple with just the bare walls or import an image of your intended floor plan to serve as a basis for the design-to-be. Blender , a complete software package for 3D modeling, texturing, rendering, animation and physics. It has a complex but merciful user interface, and the entire repertoire of its capabilities are made available through a scripting language, so the creation of 3D games beckons. 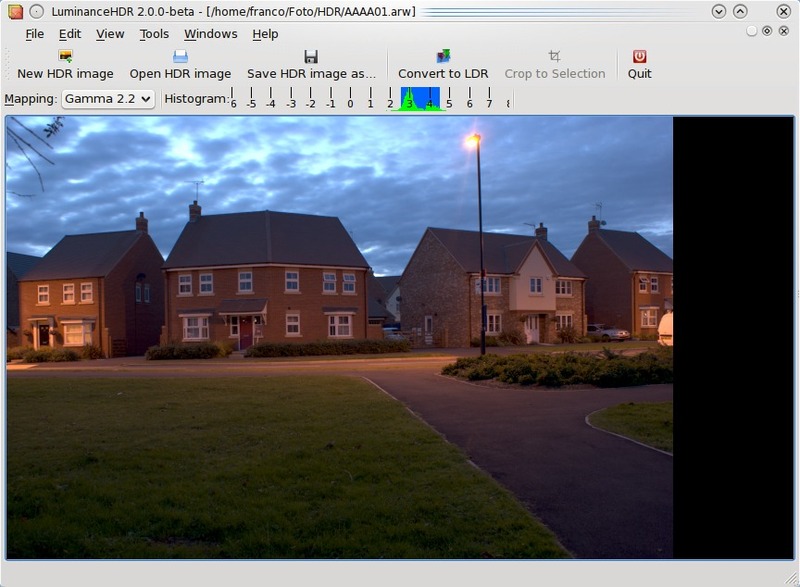 Luminance HDR (previously known as Qtpfsgui) is an open source graphical user interface program and a high quality application to provide a workflow for high dynamic range imaging. It has great tone-mapping and aligning facilities, allowing for 8, 16 and 32 bit channels and two means of manually manipulating the image. GIMP , currently the only freeware package I am aware of that can be called an advanced image editor. If you are inexperienced at using image editing programs GIMP will likely be too overwhelming to start learning on as it has a steeper learning curve but it is feature rich. It has lots of advanced features and can do almost everything the Photoshop can do. Pinta , a simplified alternative to GIMP and modelled after the popular Windows program Paint.Net, Pinta is good for average users and includes most basic features including common drawing tools, resizing and cropping, adjustments and effects for tweaking images as well as supports for multiple layers. Trimage makes your image files smaller and more suitable for use on websites, sharing on social media or sending by email. It supports PNG and JPG formats, shows compression levels and optimizes multiple images in one go, using optipng, advpng, pngcrush and jpegoptim. Hugin , a GUI front-end of Panorama Tools allows you to stitch overlapping digital photos taken from the same location into a complete panorama, with advanced features and workflow options such as correction of exposure and white balance, generate HDR, supporting a full range of cameras and lenses, multiple rows of photos, cropping, masking, control points, optimizer and more. XnViewMP , a multi-platform and enhanced version of XnView, is a media or graphic browser and viewer available both in 32 and 64 bit versions, with speed-optimized loading, improved caching and multi-core processing. It also has a powerful batch image converter built-in. Provided free for private and educational use, this app supports more than 500 formats in reading and export to about 70 different file formats. MyPaint , designed for pressure sensitive graphics tablets, MyPaint allows you to use a large collection of brushes including charcoal and ink to emulate real media, with color changers and opacity controls, unlimited canvas and basic layer support. You can also download and import more brush packages for use with the application. Krita , a user-friendly and feature-rich sketching and painting application for raster images, complete with real-world painting materials and workflows, multiple brush engines, blending and wrap-around modes, advanced selection and masking tools, symmetry tools, drawing aids, filters, effects, layer and color management. digiKam , a digital photo management program designed to import, organize, enhance, search and export image files. With this you can add comments and tags to albums, view and edit items, create slideshows and calendars, and share your creations. Phototonic , an image viewer and organizer to load thumbnails and browse images on a folder tree. Some key features include image navigation, file management, slideshow, transformation, adjustment, display image info and metadata, rotate images based on the Exif orientation tag, find and manage duplicate images, etc. No executable package is readily available but general instructions to compile the program code and create the executable are given on the developer's homepage. QtQR , a graphical frond-end for python-qrtools allows you to easily create and decode QR codes, supporting URL and other data type, configurable pixel and margin sizes, error correction, and save QR Codes in png format. NetBeans started life as a Java Editor but with recent releases it has developed into a powerful text editor for web scripting. NFO Viewer , a simple viewer for NFO files with preset font, encoding settings, automatic window size and clickable hyperlinks. Bluefish , a lightweight yet powerful editor designed for experienced programmers and web designers, and works as a general purpose editor as well with the IDE. Atom , a cross-platform and open-source text editor that is modern and customizable with themes, multiple panes, file system browser, smart autocompletion, code folding, syntax highlight, find and replace, spell check and built-in package manager to add new features and functionality such as Teletype collaboration and IDE. ClamTK Virus Scanner is a graphical user interface for ClamAV and designed to be an easy-to-use, on-demand scanner running on Linux systems. I thought Linux doesn't need antivirus protection?" It's true that you may not need it, but this program is more geared for users interested in scanning files prior to sending them to users of other operating systems than Linux. Gufw is a graphical user interface for UFW (Uncomplicated Firewall), and as the name implies, an easy-to-use firewall for Ubuntu, Linux Mint and other Linux systems, with support for setting up rules such as allowing or blocking applications, incoming and outgoing services, common P2P or individual IP/ports, with options for logging and showing notifications. Firestarter , a complete firewall tool for Linux, allows for users to create a firewall with a wizard, open and close ports with a few clicks, completes with a real-time hit monitor. KeePassX , you just need to remember one single master password to access many user names, passwords and other private information saved in one single database. Features include defining titles and icons, grouping and sorting entries, and generating secure passwords. The database is encrypted either with AES or Twofish encryption algorithm using a 256 bit key and uses a file format that is compatible with KeePass Password Safe for Windows.